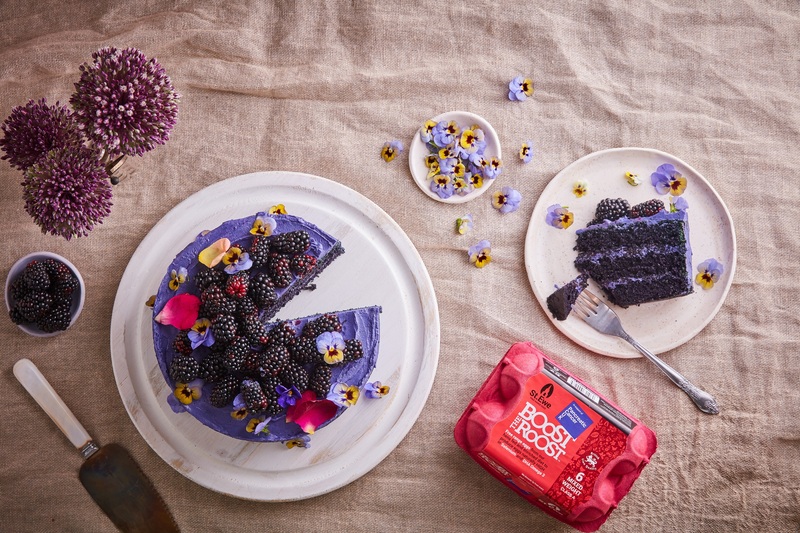 We support Pancreatic Cancer UK; donating 5p from every box of Boost the Roost sold. Pancreatic Cancer is currently underfunded receiving only 2.1% of Cancer Research Funding, yet less than 7% of those diagnosed survive beyond five years. We are helping Pancreatic Cancer UK raise awareness of this devastating disease, support people affected and fund cutting edge research to ensure more people survive to live long and well. November marks Pancreatic Cancer Awareness Month, can you get involved to help raise money and awareness? Why not hold a Bake Sale to raise money…and raise even more by using Boost the Roost eggs to make your cakes! Find out more on the PCUK website. Why do we support Pancreatic Cancer UK? This is a cause close to our family, as we carry a gene that causes acute pancreatitis. After many painful bouts of pancreatitis we went on a quest to see if there is anything we could do to help reduce the impact and damage caused when the pancreas is under trauma. We learnt that researchers at the University of Liverpool are running a trial that is investigating whether giving people with pancreatitis organic selenium (Antox®) and magnesium (Magnesiocard®) can reduce the oxidative damage to the cells walls around the pancreas. It was about the same time that we came across an article in a Poultry magazine highlighting a product called Sel-Plex® (organic selenium), that you can add to the hens’ feed. The hens then absorb the selenium and deposit it into their eggs, which means by eating the eggs we get all the benefits of selenium in our bodies. Click to find out more about Boost the Roost free range eggs. Pancreatic cancer often doesn’t cause any signs or symptoms in the early stages. This can make it hard to diagnose early. As the cancer grows, it may start to cause symptoms. The symptoms and how bad they are can vary for each person. The pancreas is part of the digestive system. It does two main things. It makes pancreatic juices which contain substances called enzymes. These enzymes help to break down food so the body can absorb it. The pancreatic juices flow down a tube called the pancreatic duct, which runs the length of the pancreas and empties into the duodenum (the first part of the small intestines). The pancreas also makes hormones, including insulin, which control sugar levels in the blood. Both of these things can be affected if the pancreas isn’t working properly. The pancreas is often described as having a head, body and tail. It is surrounded by several large and important organs and blood vessels. The head of the pancreas is next to the duodenum. The bile duct carries a fluid called bile from the liver. It passes through the head of the pancreas and empties into the duodenum. The blood vessels that carry blood to the liver, intestines, kidneys and lower part of the body are very close to the pancreas, and may touch it. You can join an event, plan your own event or get involved with Pancreatic Cancer Awareness Month. Where we’re asking you to TAKE IT ON! 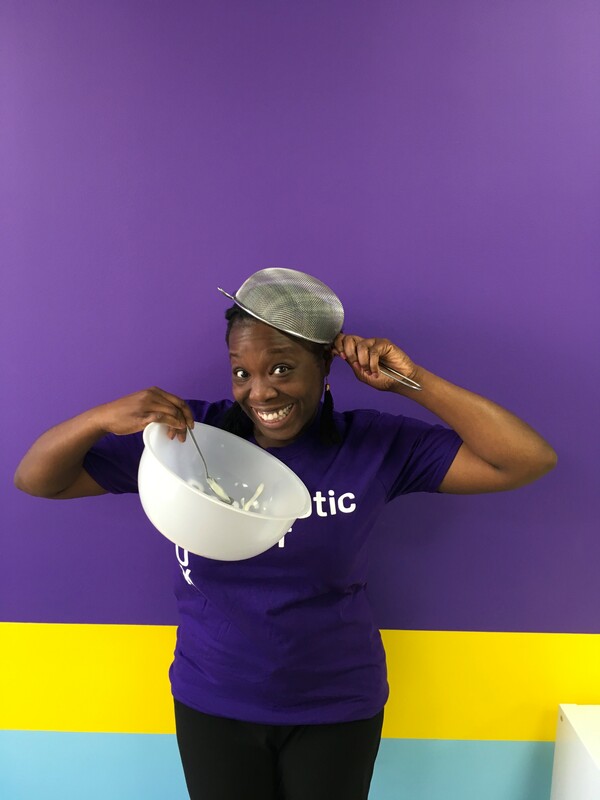 We’d love you to help raise even more money and hold a Bake Sale for Pancreatic Cancer Awareness Month. Why not try making our Purple Show Stopper!